1. Which do you prefer for vacations, beach or mountains? Mountains 100%. I usually get bored after a few minutes of lounging on the beach, I always need to have something to do! I especially love hiking in the mountains and exploring the area. I also like that mountain vacations filled with trees are a nice change in scenery from the Phoenix area desert landscape. Fun Fact: The Swiss Alps are actually at the top of my travel bucket list, and I’m hoping to make a trip in the next year or so! 2. If you were a crayon, what color would you be? This is such a tough question because I think of myself as a very colorful person! If I had to choose, a bright yellow color pretty similar to the ZipSit Sunshine Yellow color would be my pick. Yellow is such a happy color and has the potential to turn any mood into a positive one. 3. What is the coolest thing you are working on right now? 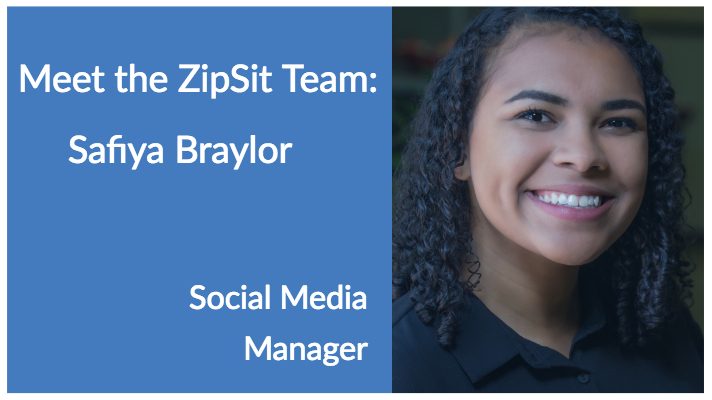 I am currently getting to spend a lot of time connecting with our awesome ZipSitters and helping them grow their circle of favorites. It is so fun to hear their experience on the app and about the families they have been able to connect with as a result! Want to learn more about what it’s like to be a ZipSitter, read all about it here.